USED CARS MORE EXPENSIVE THAN EVER. 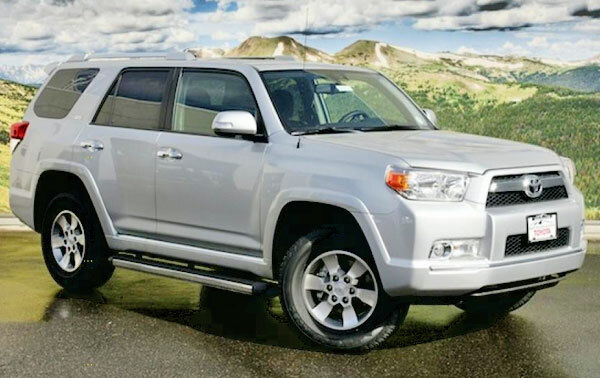 Used cars have significantly increased their value so far in 2011 and the Toyota 4Runner is one of the most benefited. IIRVINE, CA - Kbb.com reported that cars are more expensive than ever, as throughout the year, their value rise about 20%, something truly remarkable after the strong depreciation of 2009 and 2010. Depending on the segment, the value has increased from $1.500 and $2.500, but some models surpassed their respective average to the segment, being the efficient cars the most benefit. Examples of this include the Toyota Prius, which increased its value by $3,800 since January 1, while the Ford Fusion had a substantial increase of $1,800. And while gas prices continue to increase, experts also believe that the value of cars will increase. You can see that the value has grown substantially since 2007 and this can be attributed to the lack sustained of a supply of cars in recent years, largely reduced from the sale of new models in the same period. As sales were low due to the economic crisis, the supply of used cars was badly affected, causing prices to rise over time. Also, with the price of oil barrel hovering around $100 and the gallon of fuel that exceeded $4 a gallon nationwide, consumers are interested in compact models, subcompacts or hybrids in order to minimize the effect of high fuel costs in the family budget. Families are looking to save, and buy an efficient car seems obvious. In response, retailers have struggled in every way in the auctions to replenish their inventories with efficient vehicles that is what consumers want today. However, in mid or end of summer, gasoline prices could go down and when this happens, most efficient cars could reduce its price. There are multiple ways of seeing the market and knowing that makes no sense trade your car for an efficient model because the prices are too inflated now, but if you have a car that spends too much could be the best time to sell it.